I collected this postcard from my niece’s school project that shows the different tourists spots in the Philippines. 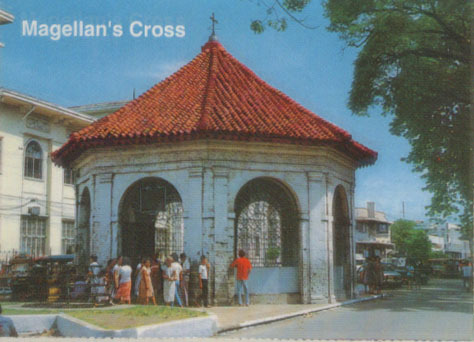 Magellan’s Cross is found in front of the city hall of Cebu City. We (some friends from the DOH and fellow reporters) were able to pass the historical landmark, but unfortunate to take a souvenir photo inside the chapel. This entry was posted in Churches, Postcards, Tourists destination and tagged Cebu City, Magellan's Cross, tourist destination, tourist spot on October 17, 2011 by Yami.